It might seem too complex or worrying to consider moving abroad or buying a property in Spain, but it need not be. The truth is that emigrating to Spain, living, or working in Spain, and owning a property or holiday home in Spain is possible for almost anyone. And the team at Inmo Investments is here to help you every step of your journey to your dream home. Just like any big idea, buying a home in Spain requires a little forethought and planning but it´s very easy to do just so long as you do your homework. Whether you are looking for a retirement property, an investment property, or a holiday home you can enjoy for many years to come, Costa Blanca property offers something for everyone and we have properties to suit every budget. Choosing a property: location and types of property. Research: how to find the information you need. Money: working out what you can afford to buy. Financial considerations: insurance and exchange rates. Creating a brief: solicitors and estate agents roles. Visiting Spain: viewing trips and dealing with sellers. Travelling to Spain: options for getting here. Before you move: pensions, benefits, and post. Moving to Spain: how to get your possessions to Spain. Shopping: where to find your daily essential items. Step by step our guide leads you through the planning and buying process in Spain so that you are best prepared to purchase your new home on the Costa Blanca. If you need more information about buying property in Spain please contact us and our friendly team will be happy to answer all your questions. What are you waiting for? 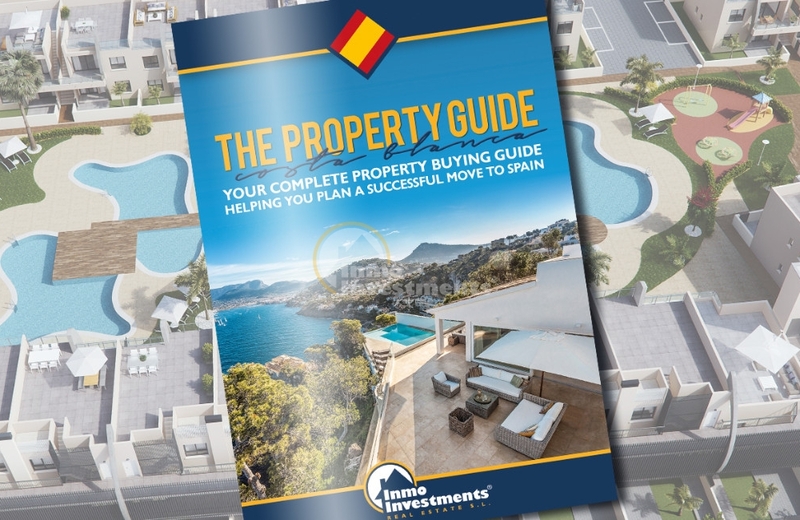 Download the Costa Blanca Property Guide for free to your laptop, tablet or smartphone, and start your journey to a new life in Spain now.